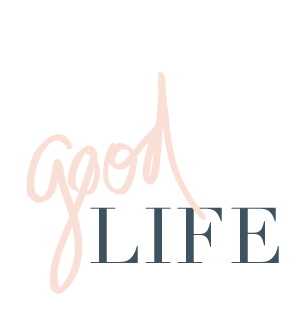 jillgg's good life (for less) | a west michigan style blog: what I read this month: January 2019! what I read this month: January 2019! I read seven books this month - that seems like a lot!?!? I blame it on lots of cold, lots of snow and in general just being in hibernation this past month. What else is there to do in January but to nap, read and binge Netflix? Not much - so that's what I did all month! I read some really great books... here they are! PS I Still Love You & Always and Forever, Lara Jean... After reading the first book in this series last fall I circled back and finished the last two books in the trilogy this month. These books are fluffy and fun and oh so sweet. I loved every minute of the entire series. It's the perfect set of books to get lost in and each of them are such a quick read. I highly recommend these for cold winter days or to pack in your spring break suitcase. They are classic high school sweet-heart novels that both make me feel young (wasn't high school just a few years ago?) and old at the same time (holy crap, this is almost the same stage that MY kids are at). The Great Alone... I have to admit that I was dragging my feet to read this book. I actually checked this book out from the library 3 (three!) times before I actually read it - which is yes, a mild abuse of the library system - I feel terrible! I worried that this book was so over-hyped that I wouldn't enjoy it... but the opposite was true. This book 100% lived up to all of the hype. This page turner of a book takes place in the Alaskan wild where the Allbright family has "escaped" to when the father can't hold down a job in the States. He's gifted a plot of land in Alaska from a fellow soldier that died beside him in the Vietnam war so the family heads to Alaska to homestead. What follows is an intense rollercoaster ride for the family. This is by far one of the best books I've ever read. The characters are so perfectly crafter with Alaska itself taking on the role of the lead character. I devoured this book in less than 48 hours. While at times it was sad and difficult to read it's definitely a story that sticks with you. I also found it similar in theme as Where the Crawdads Sing and Educated: A Memoir (both are two of my recent absolute favorite reads) seeing as all the books follow young girls becoming women in really, really harsh conditions. A Whole New Mind... I love a good non-fiction read and really need to make a point of reading more non-fiction books each month. I always find them so enlightening. I picked up this book after hearing Dan Pink interviewed on Oprah's podcast about the book. The concept is how jobs and society are changing from left-brained careers (lawyers, accountants & "office" jobs) to right-brained careers (jobs that call for creativity, empathy and for what he calls "high concept and high touch" aptitudes). This was a fascinating read not only as it pertains to my own career but as I prepare a tween/teen for the working world as a parent. I found this book to be a quick read and very informational. Beneath a Scarlett Sky... This WWII drama begins in Italy when the Allied bombers take out Pina Lella's family home in Milan. Pino then becomes committed to fighting the war his way. He first helps Jews escape through an Italian run "Underground Railroad." When the war becomes increasingly dangerous for civilians in Italy he joins the war for the opposing German army in the hopes of becoming a spy. After a series of events he becomes the personal chauffeur for Hitler's top general in Italy. In the end risky his life to spy and bring German secrets to the Italian and Allied forces. While the first part of this book was a little slow it pays off - in the end I found this book to be so engrossing and I was constantly thinking about Pino and the entire cast of characters when I wasn't reading the book. In the end the most impressive part of Pino's story is that it's all true. The author was able to interview Pino and many other close to the him to write this book. I highly recommend this book! I just love WWII historical fiction... other books in this genre I recommend are The Nightingale, The Women in the Castle, All the Light We Cannot See and Along the Infinite Sea... just to name a few! 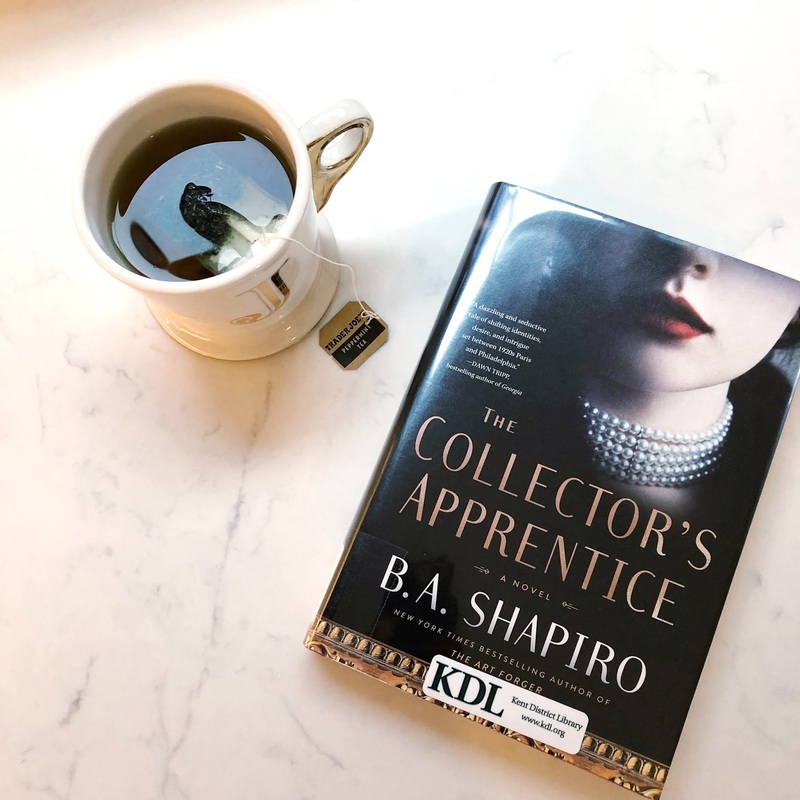 The Collector's Apprentice... This historical fiction takes place in Europe in the 1920's. The main character Paulien has been banished from her family after ex-fiance steals all her family's riches in a complicated pyramid-scheme con. With little money to her name but a vast knowledge of art she has learned from her art-collector father, she changes her name and moves to start working in the art world. She vows to both recover the art work her father had to sell out of desperation and to avenge her ex-fiance's crimes. If you love art, historical fiction and lots of plot twists I think you will enjoy this book. A few parts were a little slow for me but overall I really enjoyed being immersed in the world of art. Plus I NEVER would have guessed how the story ended! Another book I loved about art was The Masterpiece! The Dreamers... When students at a small college in California start dropping one after another into a deep sleep they can't be awakened from the town is suddenly on lock down. The book follows several characters as they try to keep from contracting this mysterious sleep-virus and coping with losing their loved ones to this deep sleep. I could't wait to see how this book would end and I have to say the ending was a little bit of a let down. I would have loved to see more character development with these characters. I will say that while I enjoyed this book I liked this author's previous book The Age of Miracles much better. What good books have you been reading lately? I would love to know!